With kids and pets in the house, accidents are bound to happen. And carpet, like most fabrics, absorbs odors of perfumes, foods and cooking, and foot traffic. This recipe by One Good Thing By Jillee, is for a carpet refresher. It’s for those times when you want to improve upon the fresh and clean smell of your home by neutralizing odors caught in the carpet fabric. 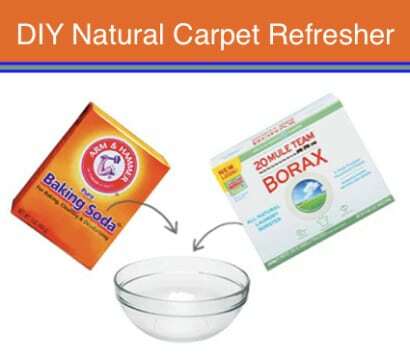 The ingredients in this carpet powder recipe are all-natural and allow you to make an effective carpet fresher that’s cheaper (and healthier) than the store-bought kind.